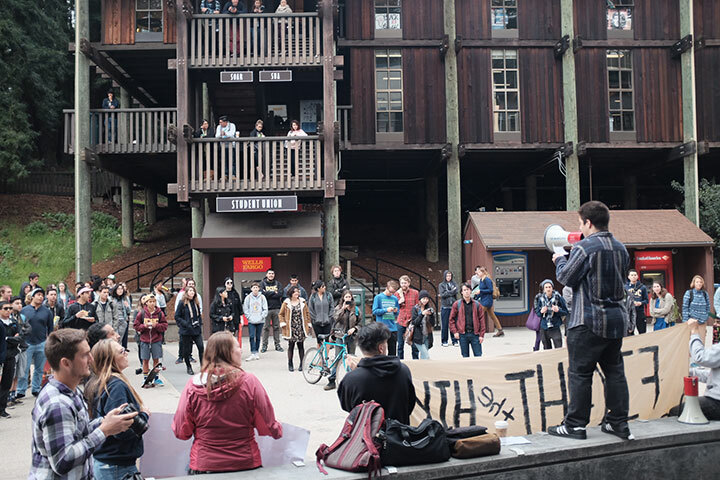 About 100 students chanted and banged on hand drums at Quarry Plaza on Monday, kicking off “96 Hours of Action: Against Tuition Hikes and Police Violence.” Organized by Liberate Our Education, all of the events throughout the next two days will lead to a proposed campus shutdown on Thursday. 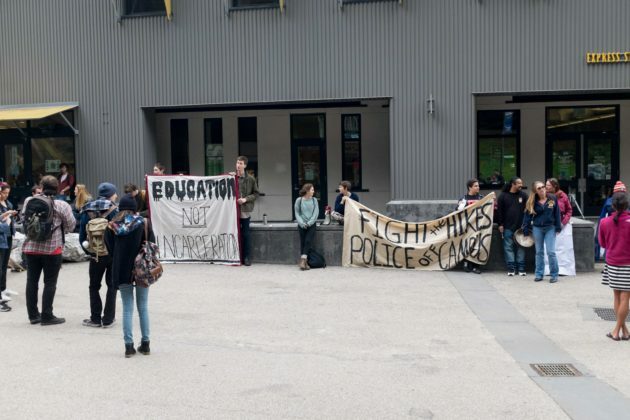 “96 Hours of Action: Against Tuition Hikes and Police Violence” is a “call to action,” encouraging students to fight for free public education and “shut down the racist, classist, corporate, militarized police state,” as stated on its Facebook event page. 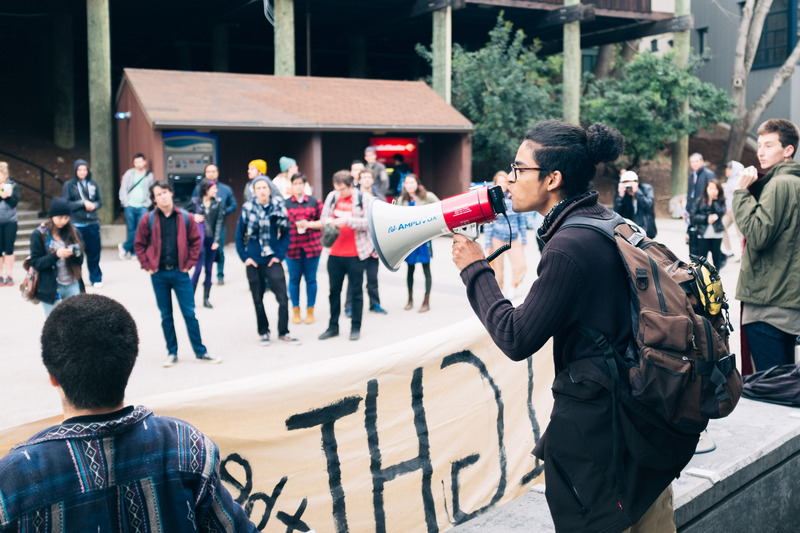 Fourth-year politics major Adham Taman said “direct action” is important for the fight against tuition increase. Taman said direct action, like the United Auto Workers (UAW) Local 2865 and the American Federation of State, County and Municipal Employees (AFSCME) strikes last year, have worked in favor of students, workers and union members to settle grievances. 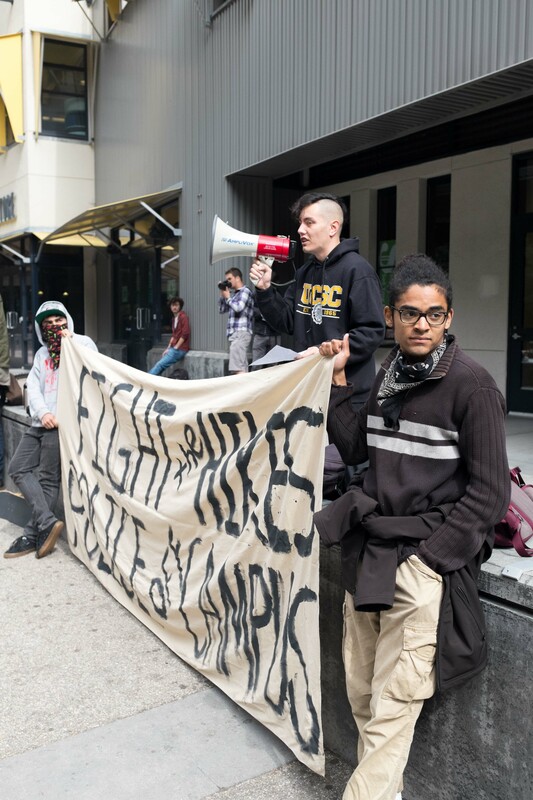 “Last year we shut down the campus two or three times and got huge concessions for TAs [teaching assistants] and exploited workers on campus, namely dining hall workers,” Taman said. 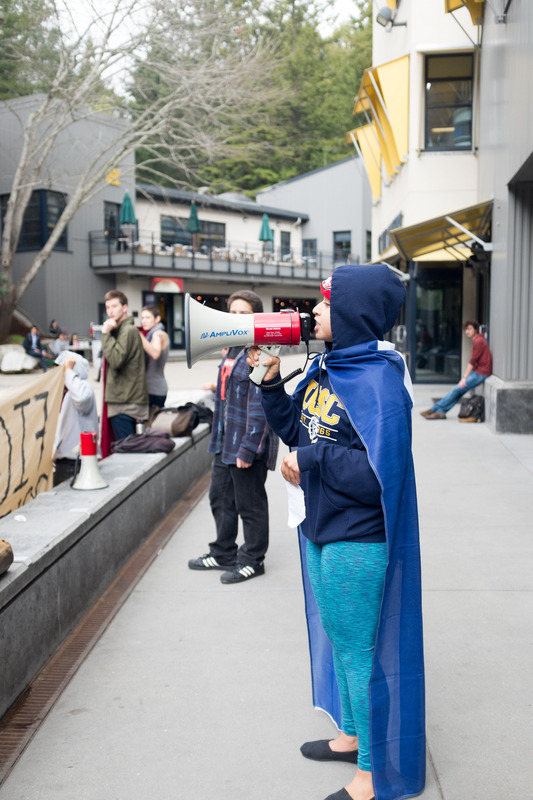 Following the rally at Quarry Plaza, student protesters marched on McLaughlin Drive as cars and buses trailed behind. The crowd of about 100 students made its way through the Earth and Marine Sciences buildings, walking into a lecture hall chanting, “No hikes, no fees, education should be free.” Student protesters also marched through the Science and Engineering Library chanting the same phrase. A student, who asked to remain anonymous, said it’s understandable for students to get upset over strikes causing a campus shutdown, but these demonstrations are necessary. The crowd trickled down to nearly half of what it began with, but many students continued. 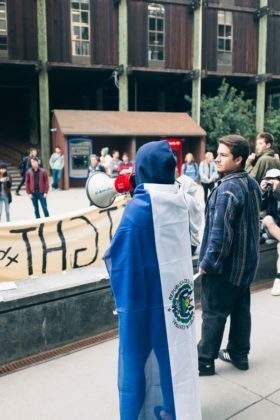 Liz Garcia, a second-year and a student worker at the Science and Engineering Library circulation desk, said she supported the “96 Hours of Action” movement. After walking from the Science and Engineering Library, student protesters chanted, “What is the solution? Student revolution,” as they made their way through McHenry Library and back to Quarry Plaza. Arriving at Quarry Plaza, a student protester took the megaphone and announced the next event of the day, “Actions Against Tuition Hikes and Student Debt” to meet at the same location at 3:30 p.m.
On Tuesday, protesters will meet at the College Eight plaza at 9 a.m for a “human microphone” performance, followed by the “Turn It Up and Shut It Down” march at 10 a.m. at the base of campus. Follow City on a Hill Press on Twitter and Facebook for updates on this developing story.